Ellivo Architects recently completed the new fit-out for the offices in Fortitude Valley. 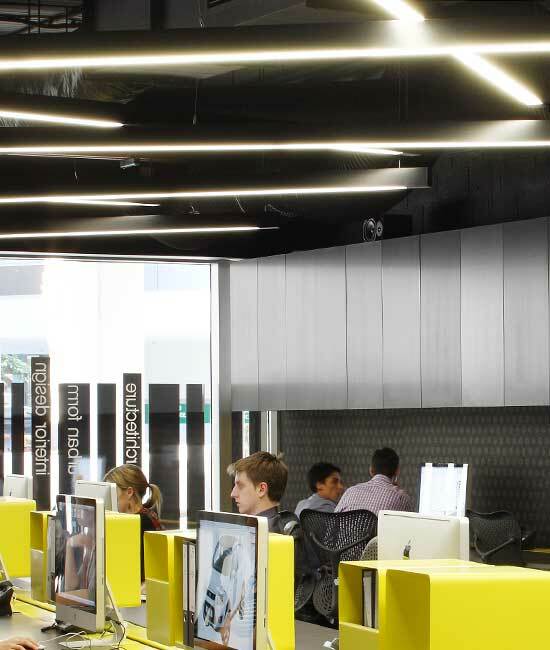 The 85Beam was used throughout the interior, to illuminate the Herman Miller workstations in a careful choice of furniture and fixtures. 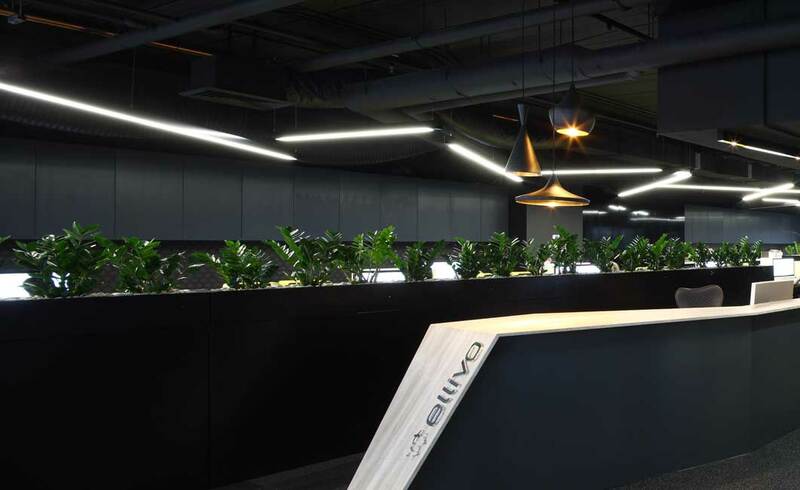 The fit-out to their offices in Brisbane aimed to use the full volume of available space, with a minimalist industrial feel. The exposed services and building shell suggest openness and transparency, inviting for both staff and clients. 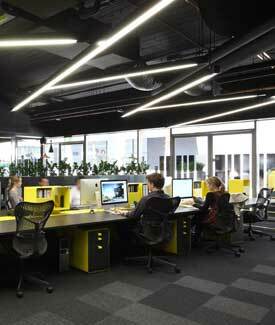 The flexible space and linear lighting reflects the culture and spirit of the young designers working there. 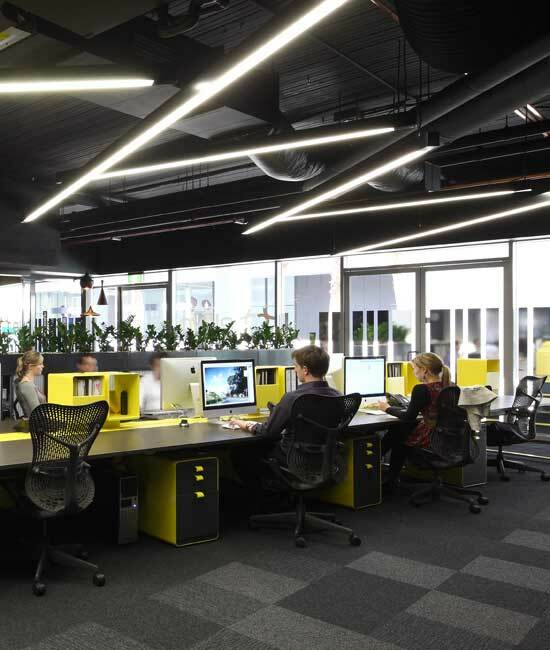 In a collaborative design by Tanya Zealey and Lisa Vidaic, colours such as an uplifiting shade of yellow set against the black canvas, were used to reflect an upbeat mood.